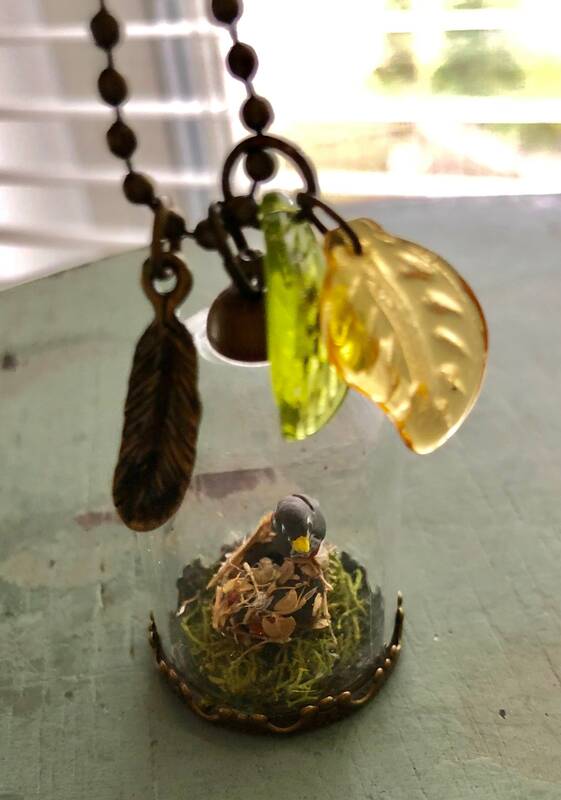 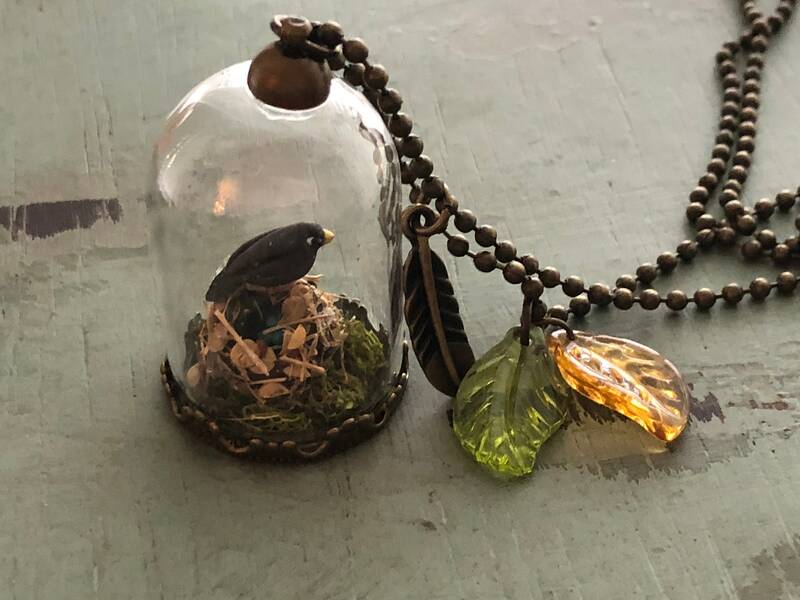 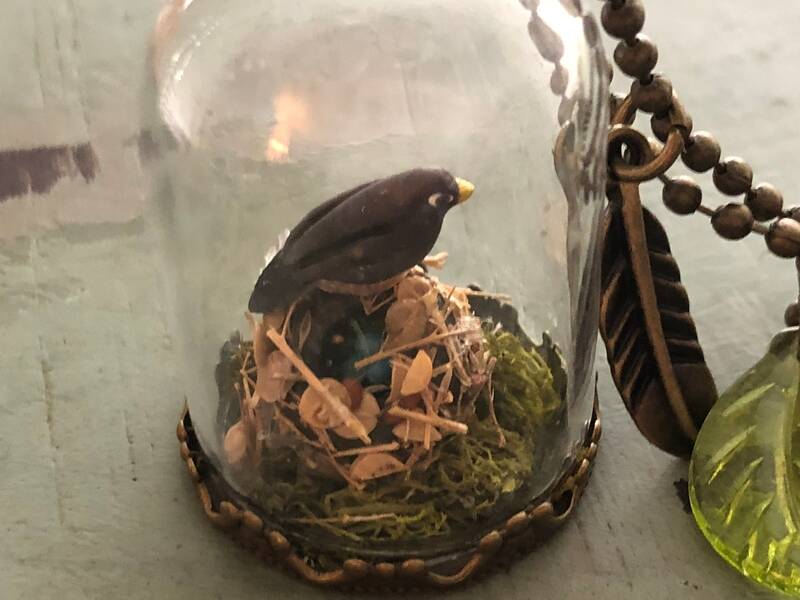 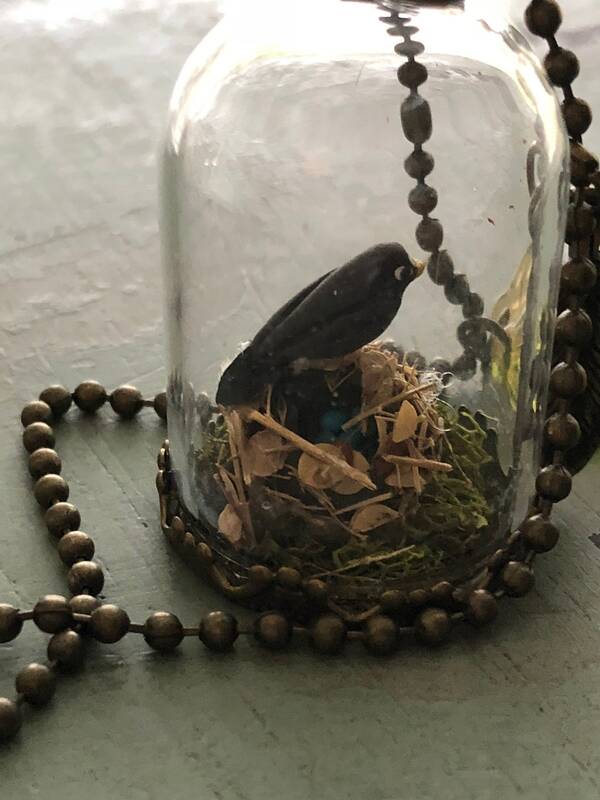 Pretty glass dome necklace/pendant with miniature bird and nest inside. 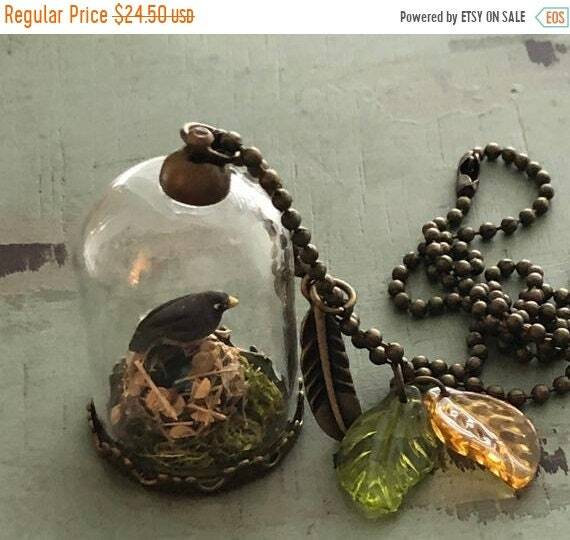 Includes Leaf and Feather Charms along with 30" Chain. 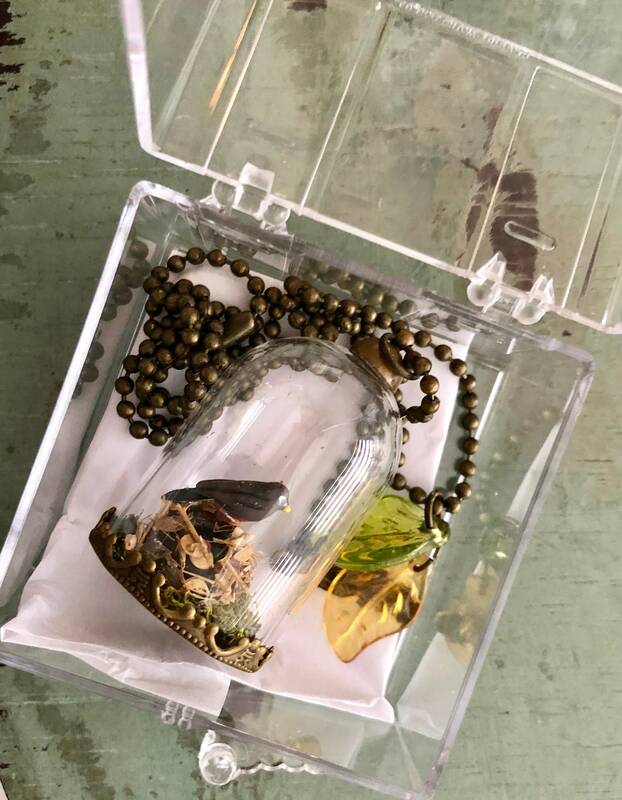 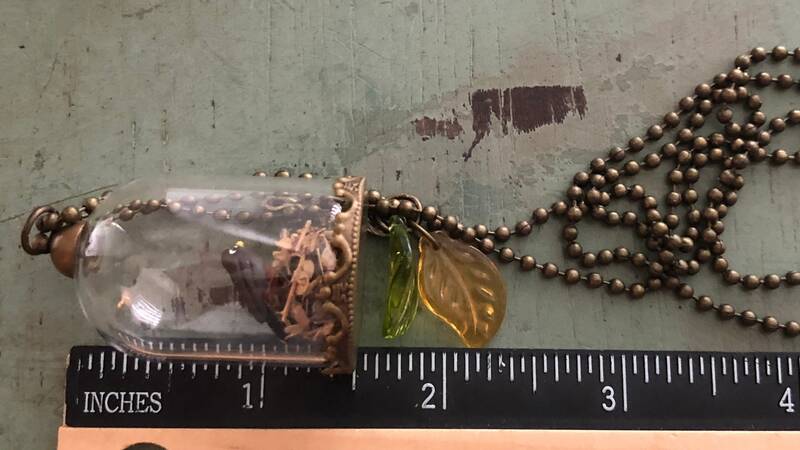 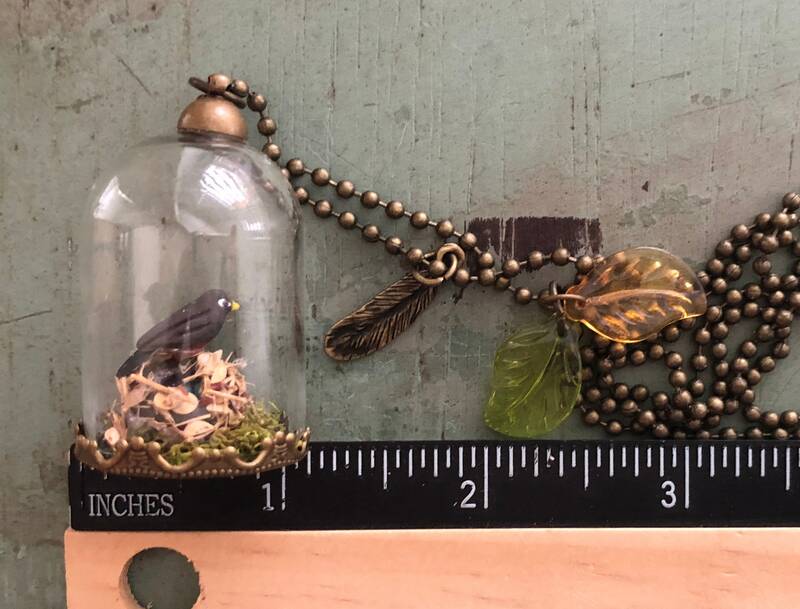 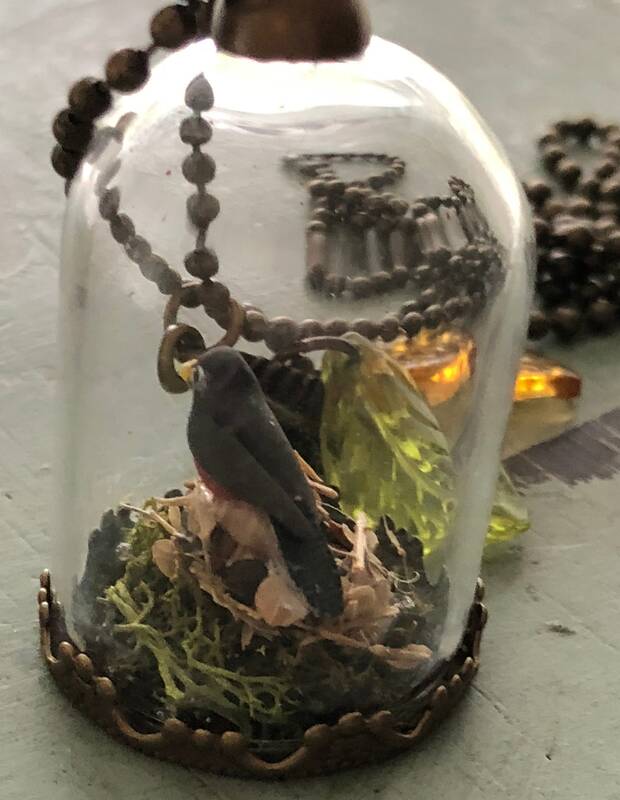 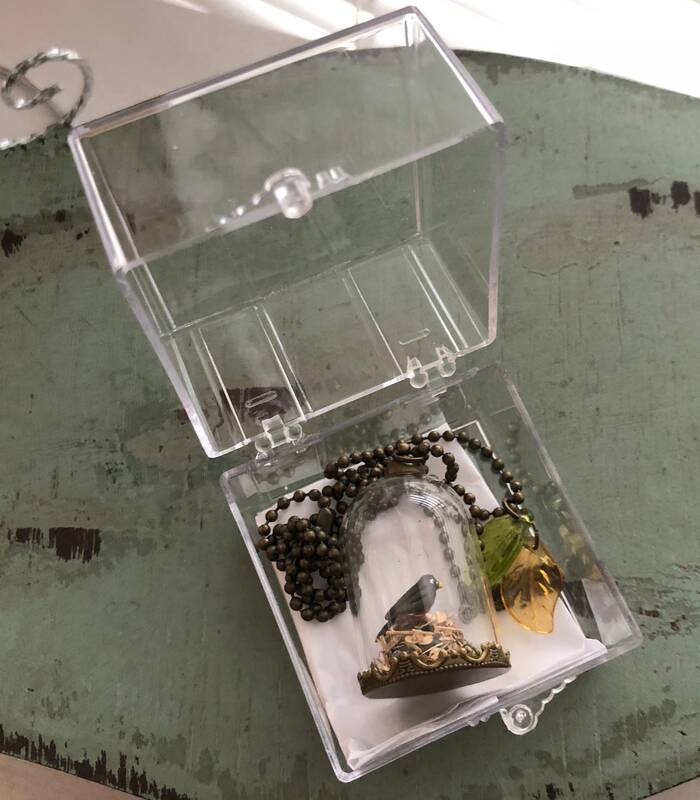 Listing includes: 1 filled jar, charms and 24" ball chain as shown (not intended to be opened, miniature parts and glass, not intended for small children).